Fell in love on 14 February 1993 and still going very strong-loving it !!! Muzvare Betty Makoni has been in love for two decades now. She formally got married to Engineer Nyamapfene on 8 August 2003. According to Muzvare Betty Makoni in her husband she found a great friend, supporter, lover and a gentleman she deeply respects and loves. Muzvare Betty Makoni fell in love on Valentine`s day on 14 February 1993. `We just clicked.Just like that and then that was it.I have never seen such a gentleman in my whole life.My husband entered marriage when he really was committed to it`, Muzvare Betty Makoni This part of her story is captured in her autobiography but she will share bits and pieces here. Her marriage makes her happy. 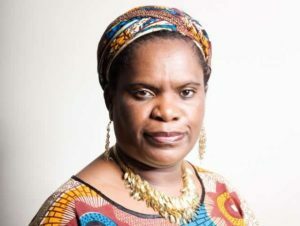 Muzvare Betty Makoni has 2 biological sons aged 18 and 12(Tinopiwanashe and Mukudzeishe). She has a lovely and an amazing son(Daraiishe) in her foster according to UK laws but her own son by gift of nature and from the Creator and by Shona traditional customs whom she took at age 1 and has seen him grow into an admirable young man aged 16 now. In total Muzvare Betty Makoni has 3 sons under her roof but several daughters she privately looks after in Zimbabwe and many other places.